A home-care worker today reveals she quit her job because she was only allowed to spend 15 MINUTES a time with frail pensioners. 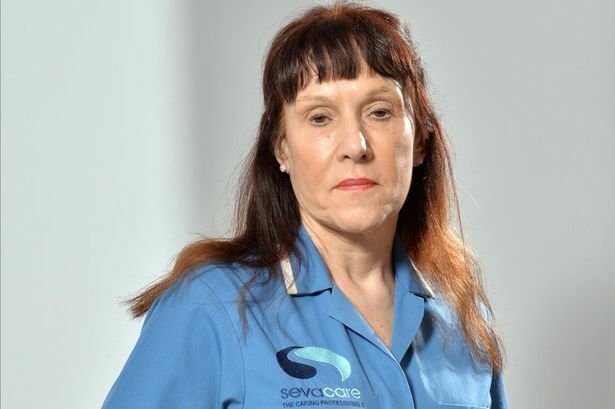 Whistleblower Gillian Demet says she was left with no choice but to resign from Sevacare who provide more than 4,000 care workers nationwide. Miss Demet, 62, said the cruel rule was putting patients’ lives at risk. “Where is the love, compassion and care that should be shown to each and every elderly person?,” she demanded. “You couldn’t spend time with clients. There was no time to talk, to chat or to build friendships. Incredibly, when the Sunday Mirror approached Ravi Bains, the CEO of Sevacare, he AGREED the 15-minute visits were unfair on clients and staff. And he accused the Government of damaging the vital home care industry with unreasonable budget cuts. Mr Bains admitted: “The allocation of resources to home care is inadequate, it is a concern we share with our staff. Miss Demet’s comments cast fresh light on how the crisis in home-care for elderly people is adding to the huge strain on hospitals, causing many OAPs to seek help in A&E units. The number of elderly people being given state-funded care in their homes has dropped by a quarter in just five years, according to official figures. A total of 1.3 million people receive state-funded home help, a care home place or hot meals – down from 1.7 million in 2007-08. Charities said thousands of elderly and other ­vulnerable adults were being denied dignity and peace of mind because of council spending cuts. Cash-strapped authorities nationwide are limiting provision with tougher rules on who is entitled to receive help. Miss Demet survived cancer seven years ago and decided she wanted to work in healthcare to put something back, so she responded to a Sevacare advert. After filling in a lengthy application she went on a three-day training course before shadowing another carer for 20 hours. “I felt I was thrown in at the deep end,” she said. “The training just showed us the basics, but it was difficult when you have to start making visits on your own. Once in the job Miss Demet soon realised the sheer scale of her responsibilities. One typical shift saw her start work at 4.15pm, ­cramming in 14 visits by the end of her day at 9.45pm. Another 14-hour day saw her start at 7am and finish after 9.30pm. The number of home calls she was sent on meant she was only able to spend 15 minutes with most patients. Visits were often quite ­physically demanding. Miss Demet explained: “Mornings were a killer. You would have to hoist them out of bed, undress them, hoist them into the shower, wash them, hoist them out, dry them, dress them, move them to the lounge, make them breakfast and give them their pills from blister packs. “Once you’d done that you’d have to dash off to get to your next appointment. She said staff felt pressured by head office, with them constantly on the phone when they were running late. After just three weeks she quit the £6.70 per hour, minimum-wage position. She says the current system is unfair on staff and the elderly. And she believes staff deserve better conditions. She said: “Why aren’t carers paid a decent wage and given the time to spend with clients to do the job ­properly? It’s important work with vulnerable people. Her concerns were shared by Mr Bains, who founded Sevacare from his garage in 1998. 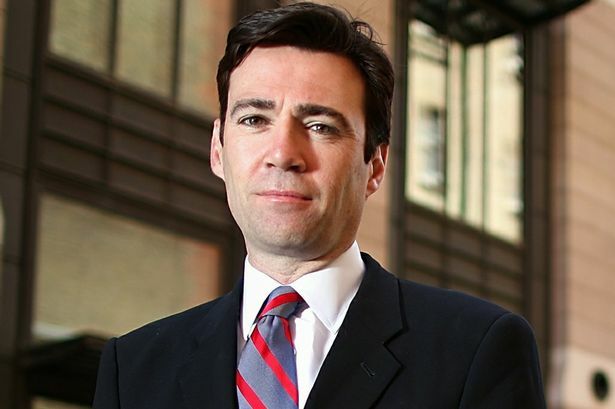 He applauded Shadow Health Secretary Andy Burnham’s plan to put health and social care together. He said: “You can’t really provide care in 15 minutes. There isn’t the time for that cup of tea. This is what this Nazi style government wants. If you don’t fit the criteria they require and don’t pay tax they are pleased if you starve or die of hyperthermia. All you need from a home visit Is to see if you are dead so they can allocate your house to a housing officers family.